A 28-year-old criminal investigator of the Dutch National Crime Squad was arrested by Dutch police on September 29 over allegations of corruption, neglect of duty, and money laundering. The man, named as Mark M., applied for a job at the Dutch police in 2009. According to an online résumé, M. dropped out of professional college in journalism after several years of being self-employed as a freelance reporter covering crime issues. According to Dutch media, M. did not pass the security screening carried out by the General Intelligence and Security Service (AIVD) as part of the job application. But he was hired nonetheless as trainee in a less sensitive position that is not subject to security screening by the AIVD. The reported reason for M.’s failure to pass the screening process is that he is married to a Ukrainian woman. The AIVD has no intelligence-sharing relationship with its Ukrainian counterpart agency concerning security screenings. M. is reported to have access to the files “of all large national criminal investigations”, and allegedly sold information on a large scale to drug organizations and criminal biker gangs. He is reported to have close ties with leaders of the biker gangs Satudarah and No Surrender. Newspaper NRC Handelsblad, which first reported about M., states that the screening involved an investigation into M.’s social environment and personal finances. Television news service RTL Nieuws, which was the first to publicly name the man, reports that M. stood out for his luxurious lifestyle: driving a Porsche Cayenne, frequenting Curaçao and the Dominican Republic for holidays, and wearing expensive watches. During a search of his residence, the police found €235.000 ($266,266), as well as confidential police information that M. allegedly intended to sell. The police is investigating the extent of the damage caused by M., as well as the precise investigations that he may have compromised. The question of why M. was hired despite not having passed the security screening is part of the investigation. It is, so far, believed that M. acted alone. 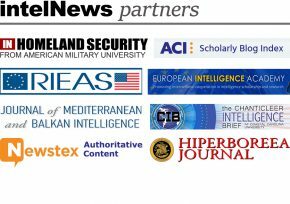 Addendum, Nov. 4, 2015: Pending a security clearance from the AIVD, M. was granted access to BlueView, a confidential police data search engine. When the AIVD refused to issue a security clearance, M. was transferred to the traffic department, but superiors failed to revoke his access to BlueView. In 2007, BlueView contained 55 million documents containing data about suspects, transcripts of interrogations and police reports. M.’s authorization level included access to information from the Criminal Intelligence Unit (CIE), that works with informants. M. was able to access BlueView for close to four years.